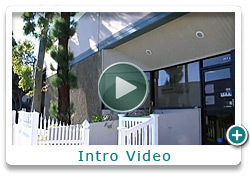 All of our vinyl products are custom fabricated in Huntington Beach, CA. We sell and install locally and ship to all 50 States in the U.S.A.
We are known as Finyl Vinyl. We specialize in the art of working with vinyl products and fencing - and we believe that we’ve perfected it. For over 30 years, our company has provided some of the best vinyl fencing services in Orange County. In fact, we are the top rated vinyl fencing contractor in the OC. Our business is family owned and operated with over decades of experience in vinyl fencing. We’re leaders in the vinyl industry, and we’ll be glad to help you with all of your vinyl needs. Finyl Vinyl has served over thousands of people in Orange County with their vinyl needs since 1999. Because we manufacture our own work, there is no need to talk to a middleman. We provide only the best customer service and support. Our professional representatives will gladly listen to your wants and needs, because we want our customers to leave happy and satisfied. We’re readily available through email, phone, or here at our contact form. Our friendly staff members and professional representatives will be ready to assist you with all of your vinyl needs, questions, and requests. To get a free design consultation, give us a call at: (877) 933-6846. To put it simply, Finyl Vinyl work with all things vinyl. Our vinyl products are fabricated using 100% virgin (PVC). We also formulate our vinyl with Titanium Dioxide and impact modifiers to ensure that our vinyl will never rot, rust, chip our splinter. Some products we focus on include: vinyl gazebos, vinyl pergolas, vinyl patio covers, vinyl fencing, vinyl decks, vinyl railings, and more! Check out our gallery for more examples of our work. Our company creates custom (or standard) kits that are easy to install - but if you’re not up to the task, we’re ready to help you! Every kit comes with full instructions, but if you’re in need of more assistance, we can even provide assistance over the phone. We ship worldwide and will ensure that you receive your product on time. Our professional representatives will help you throughout the entire ordering process. Finyl Vinyl offers competitive pricing and price matching for our products. We stand by our claim that our prices are the best in the industry. We’ll show you that our products are better than our competitors, at a lower cost. If another manufacturer offers you a lower price, we’ll match it - and we’ll even provide a 10% difference in cash!Our prices may be lower, but our quality remains the best. That’s why we’re known as the top rated vinyl fencing company in Orange County. What makes our company special? Our team has gone to great lengths to ensure that we’re best vinyl fencing company in Orange County. Over the years, we’ve been featured in hundreds of magazines and have received hundreds of great testimonials from satisfied customers. We bring only the finest products - from structures with aluminum supports to unique accessories for your vinyl kits. Finyl Vinyl is a leader in the vinyl industry and it shows in our work. All of our products are created in-house, and we take special care to assure that everything is perfect before it is shipped out to you. We stand behind our products, with a limited lifetime product warranty. All of our products are warranted against defects in the materials as long as the original buyer still owns the property where our product is installed, for 25 years. If our work is found to be defective for any reason, we will replace the unit for you. Finyl Vinyl is the best fencing contractor in Orange County, and we’ll do our best to prove that to you. Our products will exceed your expectations, and we’ll gladly assist you through the entire buying process. Call us toll FREE today for a FREE consultation at: (877) 933-6846. Finyl Vinyl is very smart to treat their installers so well that they stay with the company for 20 years! They really know their business and do a superb job, and in amazing time. Also the gentleman who did a schematic of our mailbox post did a great job. I have been absolutely impressed positively with the work of Finyl Vinyl. I’d recommend it any time. We couldn’t be more pleased. Both product and people. Feel free to use for reference. We have used your services in the past. We recommended you to our neighbors earlier in the year and they used you and we would have no hesitation in recommending you. You are an excellent company! Just wanted to let you know we are very happy with the job you did for us. We would recommend your company to anyone. or Contact Us with any questions you may have.